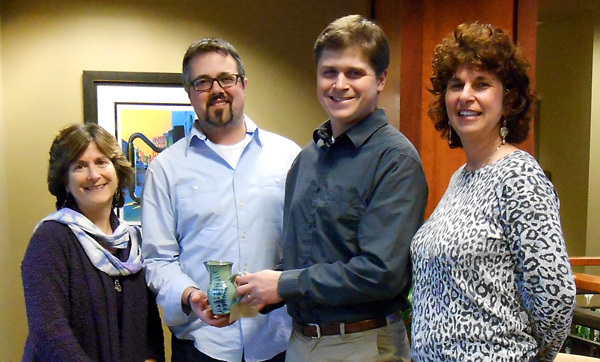 The Asheville Area Chamber of Commerce is pleased to recognize Dynamite Roasting Company as Small Business of the Month. Tell us a little of the company’s history: How did the company come about? How many employees do you have? etc. First conceived as an idea between two Asheville musicians and band mates after a late night gig, Andy and Josh set out to create the kind of product the wished they could find produced locally: fresh-roasted organic coffee. Andy, a brewer at a local microbrewery, and Josh, a graphic designer, put their talents together to form Dynamite Roasting Company in 2008. First roasting for just their Black Mountain cafe and a handful of local restaurants, Dynamite now employs 7 people and is available in over 100 restaurants, cafes, and grocery stores in Western North Carolina. What makes Dynamite Roasting unique? 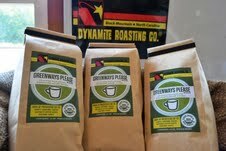 Dynamite Roasting specializes in roasting highest quality Certified Organic and Fair Trade coffees. Because of perishable nature of coffee, it is a product where local really matters. 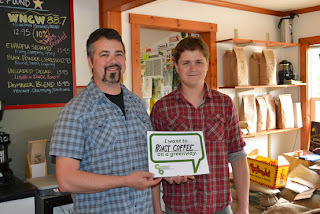 We are also the area's only Certified Organic and Fair Trade coffee roaster. These third-party certifications help ensure sustainability in the lives of both the farmer and the customer. Any company highlights you’d like to share? What are you most proud of? 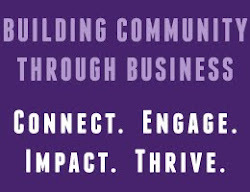 We are very proud of the connections we have made in the community. Through community-outreach programs such as our WNCW Mountain Morning Blend and Greenways, Please! Blend, and Java For Justice Blend we have been able to raise thousands of dollars for great local non-profits, schools, parks, arts organizations, and other initiatives that make Asheville such a wonderful and unique place to live. In Feb. 2013, we opened our new roasting facility in Black Mountain down the road from our original cafe and roastery, allowing us the capacity to quadruple our production over the next few years. We will also making efforts this year to directly source coffee from small farmers in growing countries. In March, we will be in Honduras tasting coffees and visiting farms to roast over the coming year.